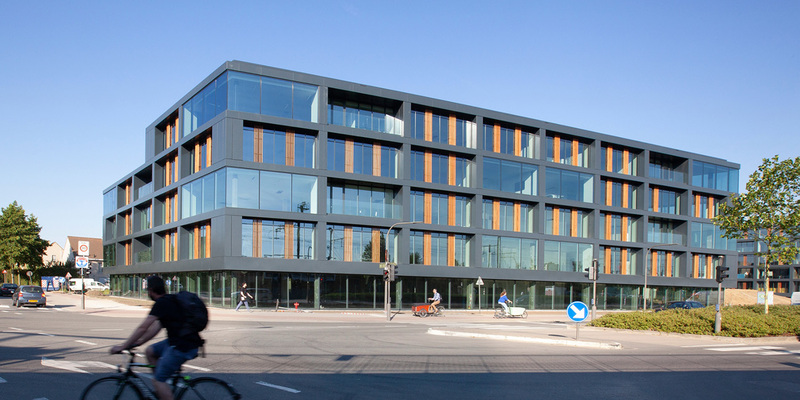 The Link project consists of two energy efficient office buildings, situated near the railway station of Berchem. 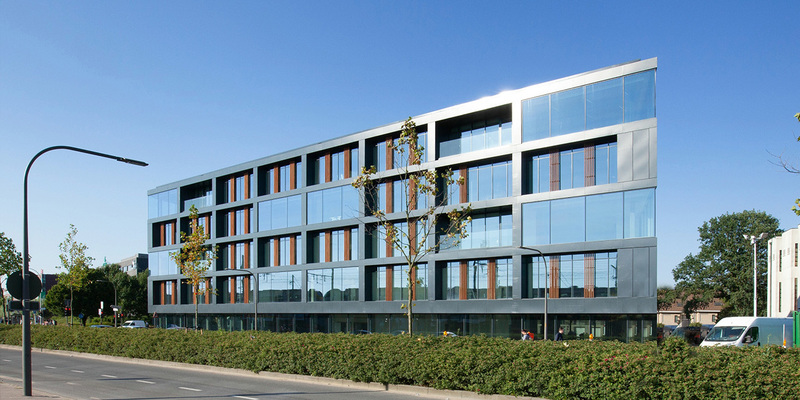 Both buildings form a coherent unity and act as a recognizable beacon along the railway Antwerp – Brussels. 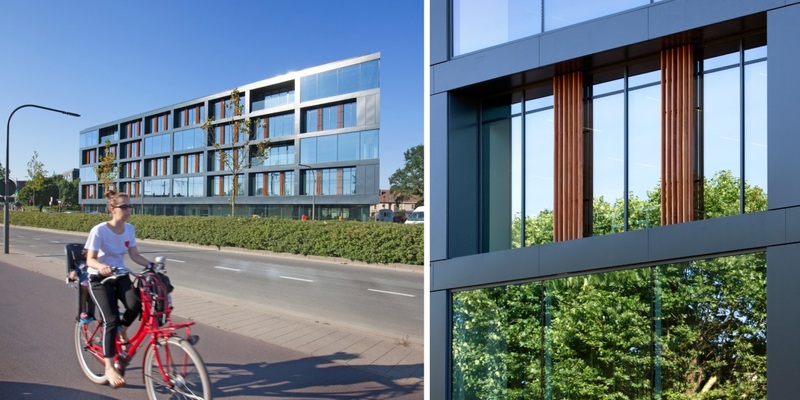 Public transport is one of the main advantages of The Link 1 & 2: the Berchem Railway Station as well as important bus and tram stops lies within a walking distance. The site has also a direct access to the cycling route that runs parallel to the Antwerp Ring. 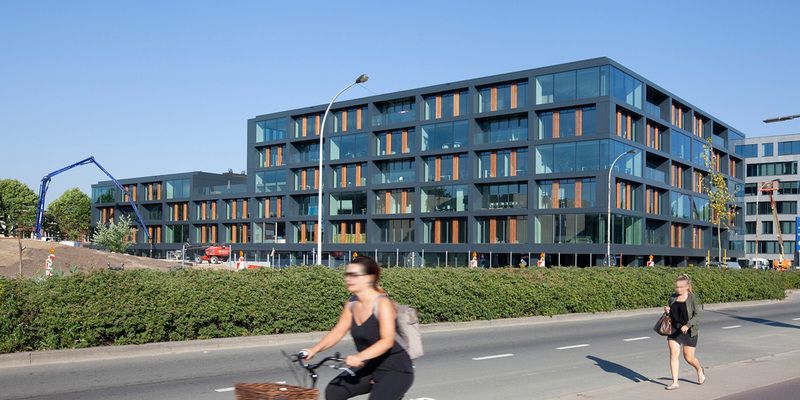 Multiple entries in each building assure high flexibility and maximum divisibility for tenants. They can also enjoy indoor patio in both buildings. Significant insulation and new techniques results in a low E-level of 40, which drives the energy costs down. 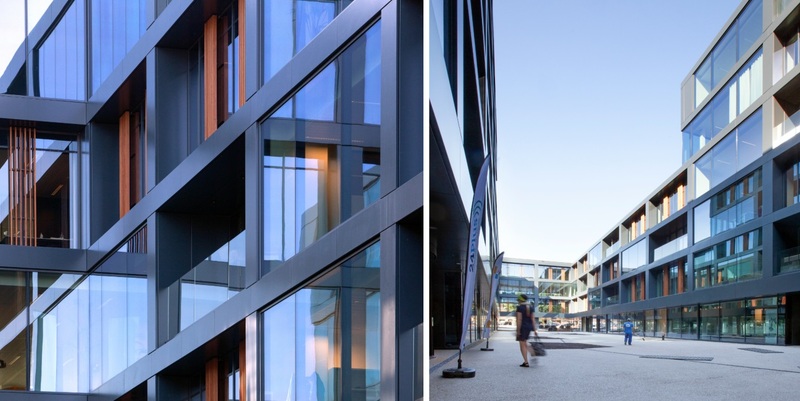 The project has received "Excellent" BREEAM Certification.